← Time to Get Thinking: I’m Open for Submissions! Launch Day!!! Pipe Dreams is Here! 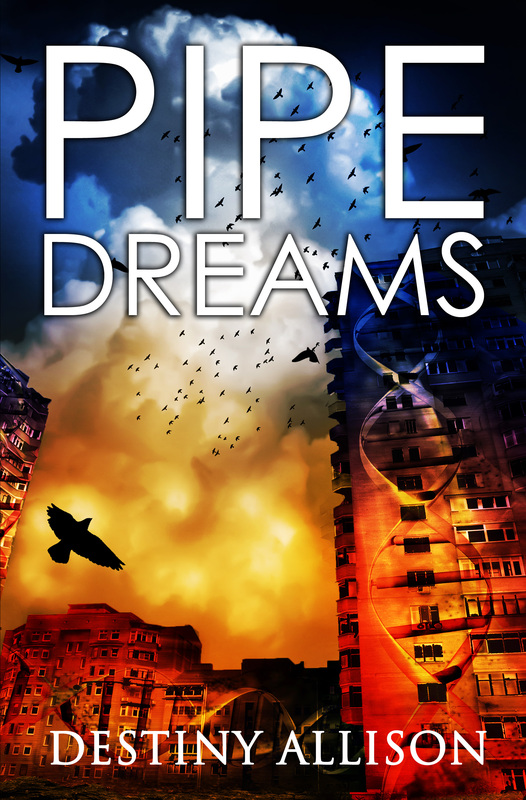 Help spread the word about Destiny Allison’s new book Pipe Dreams! Visit her blog for suggested tweets and blurbs. Yes, I’m dancing on my toes ( alternately literally and metaphorically) because the day has finally arrived. There were some glitches — the paperback won’t be available on Amazon for a few more days — and some scary moments, but it’s done. I’m free to read other people’s books and I don’t have to revise it again!!! As most of you know, 25% of the sales of this book will go toward helping another author or artist achieve his or her dreams. All you have to do to be entered to win is help promote this book. For those of you who have already said you want to help, it’s time to rock and roll. If you like Margaret Atwood, you will love Pipe Dreams. This entry was posted in Writing Resources. Bookmark the permalink.